Explore an inspiring collection of diamond cluster rings. Discover exceptional value and beauty within our specially crafted collection of dazzling ring designs. Each style is meticulously hand crafted, working with the finest diamonds and precious metals. We deliver Worldwide to many countries and all items are delightfully presented in luxury packaging. There are many considerations for keeping in mind, when purchasing a diamond cluster ring for everyday wear. Contemporary styles include stacking rings, halo rings, Raindance style rings and tiered diamond cluster rings. Many feature wedding ring friendly settings. By lifting the setting away from the finger, the cluster sits neatly alongside a straight wedding ring. Most of our styles feature wedding ring friendly settings. Our most popular cluster ring styles include the diamond halo setting. You will discover many such styles in this section, styled with a central diamond surrounded by much smaller diamonds. The effect maximises the show of the ring. Higher carat weight clusters are less costly than single diamond versions due to the carat weight being spread between smaller diamond sizes. This can be a way of affording a much higher carat weight ring without compromising on the diamond quality. We back all of the designs below with expert guidance and advice, on both diamonds and precious metals. Since our commissions can be made in a choice of metals including Fairtrade Gold, 18ct White gold, 18ct Yellow Gold, 18ct Rose Gold, Palladium and Platinum, we really do need to provide detailed guidance for many of our clients. Larger diamonds are always certified and we tend to favour diamonds laboratory certified by the Gemological Institute of America. 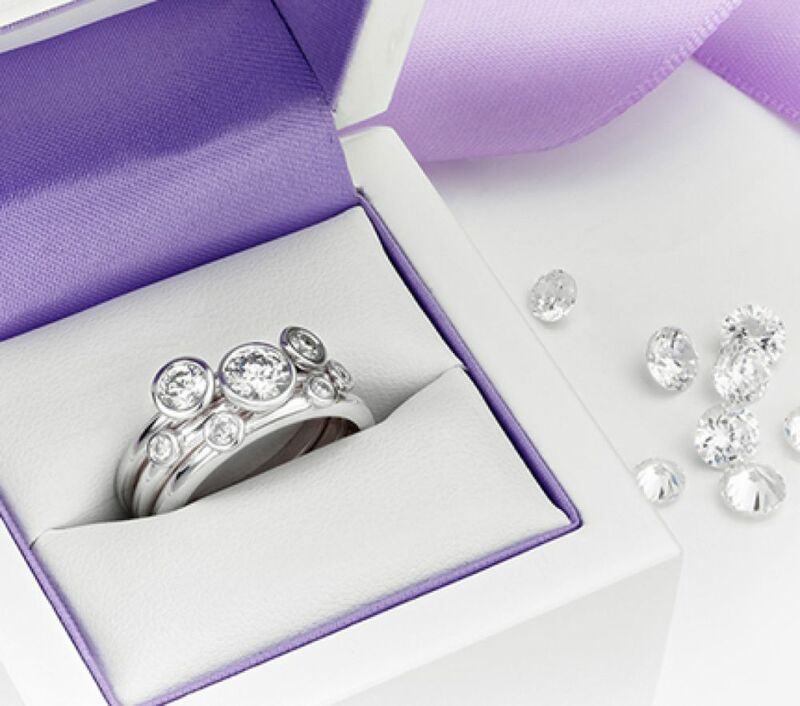 Please contact us at any time for more guidance on our diamond cluster rings and we would be more than happy to guide you from your first enquiry.